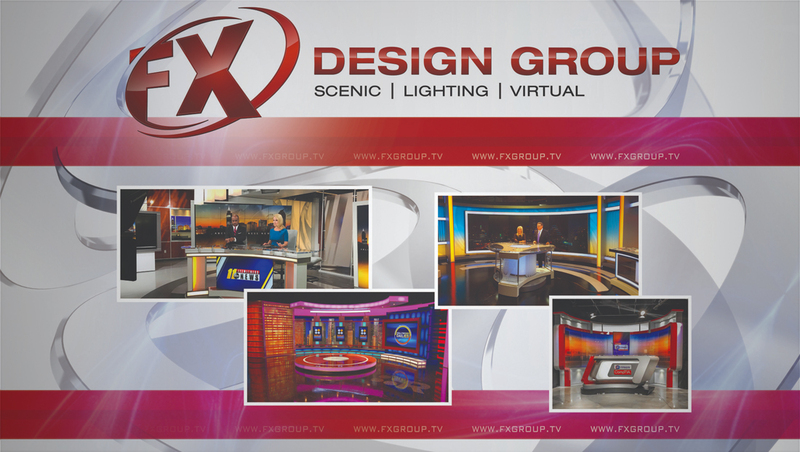 FX Design Group will showcase its set and lighting design services at the 2019 NAB Show in Las Vegas. Attendees will also get a first-hand look at the company’s Alpha Desk — a sleek, portable broadcast set piece which can be fully assembled in under sixty seconds. Along with our partners at Digital Video Group and DigiLED, a variety of industry-leading LED video displays will be showcased, highlighting different pixel pitches which can be tailored to a client’s specific studio needs and budgets. Several of our designers and project managers will be on-hand to discuss how FX takes a personalized approach to both scenic and lighting design. FX will also be at Booth B404 during the Broadcast Education Association Convention from April 6-9 at the Las Vegas Westgate. The BEA exhibition space will have team members on-hand to discuss how FX can serve your school, university or other broadcast-based educational needs.